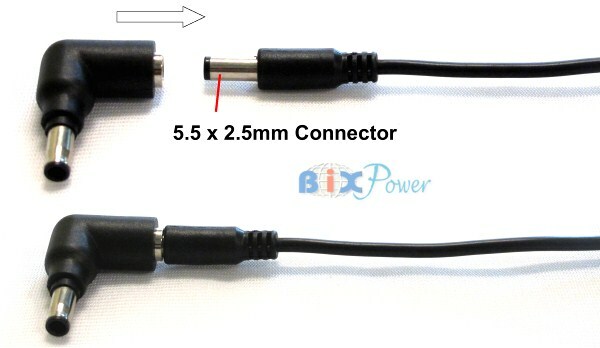 Connector size: 5.5mm (Outside Diameter) x 3.3mm (Inside Diameter). 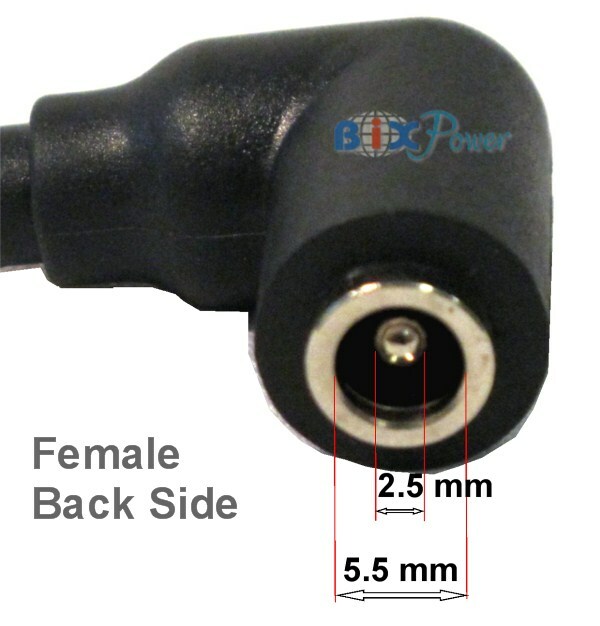 Extra info: This connector is designed to plug on a 5.5 x 2.5mm male barrel connector. 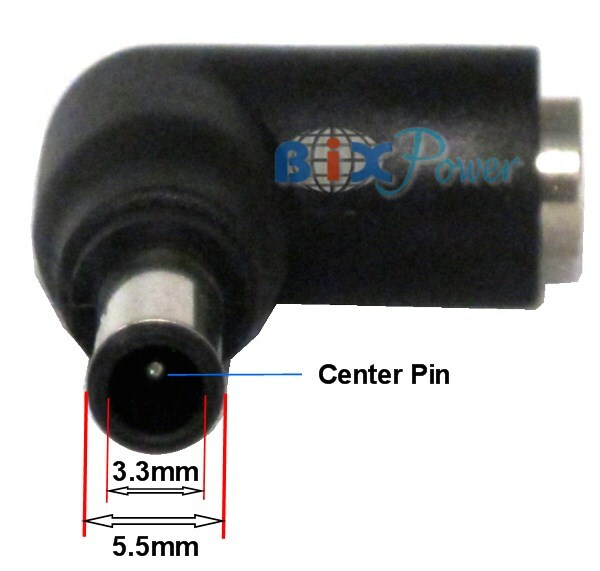 DC Power Connector Plug Tip C2: 5.5 x 3.3mm Male with Center Pin to 5.5 x 2.5mm Female. 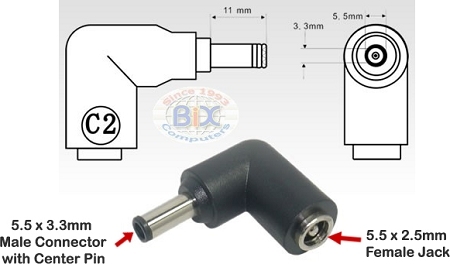 Male side: 5.5mm (Outside Diameter) x 3.3mm (Inside Diameter) with center pin. 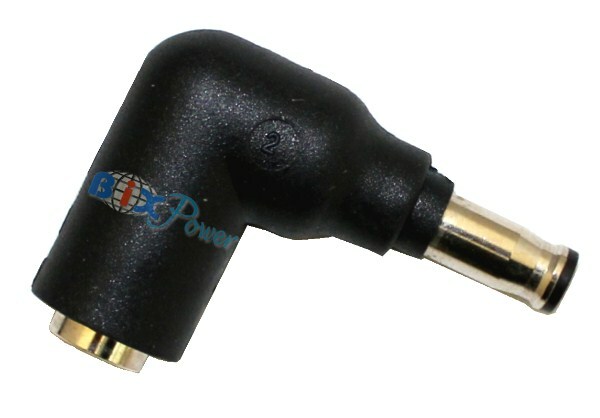 Great quality adaptor. I ordered this one which was not the correct one but found another power cable to use and made it work. A suggestion is to use some adhesive lined heat shrink to encapsulate entire end of plug onto adaptor so it becomes one piece.